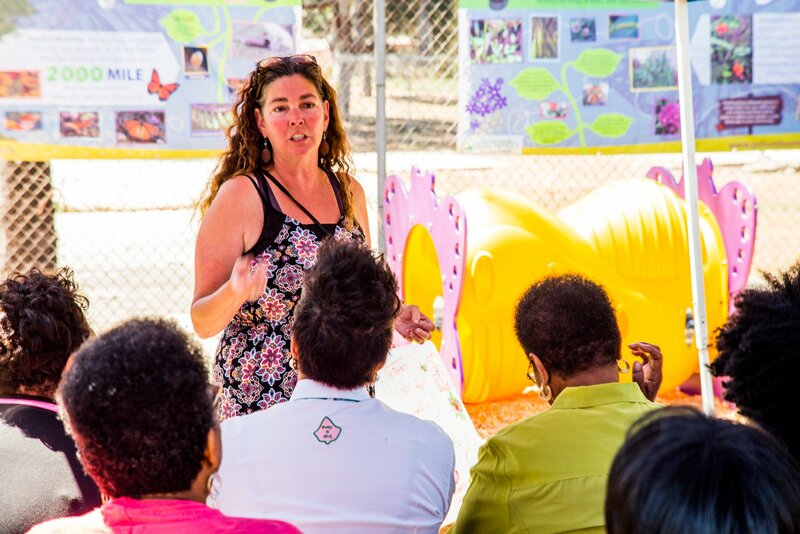 When the EarthLab Climate Education Center was established years ago, we envisioned a place that would grow alongside the growth of our community. 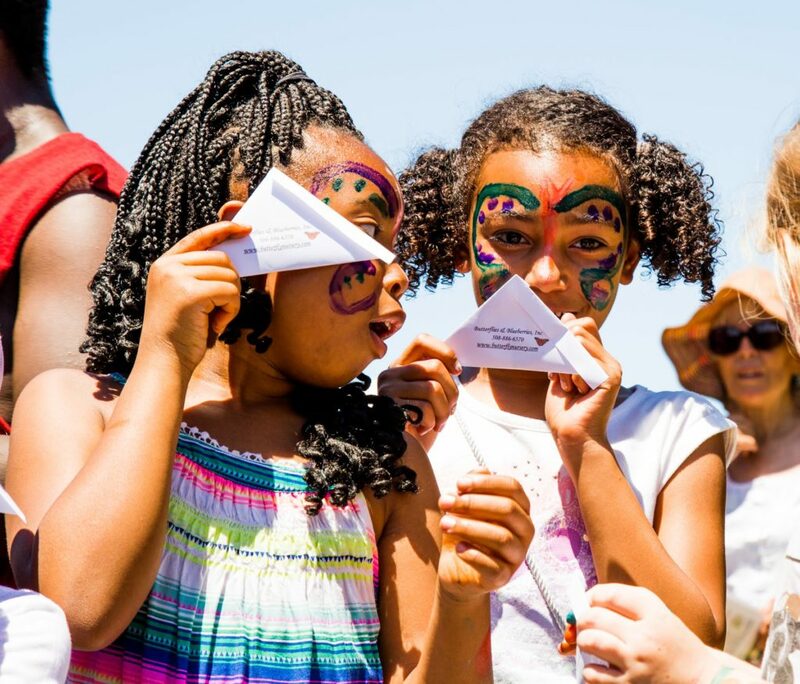 This dream is alive today, as we work on revamping the EarthLab to welcome more programming and opportunities for the future of climate action. 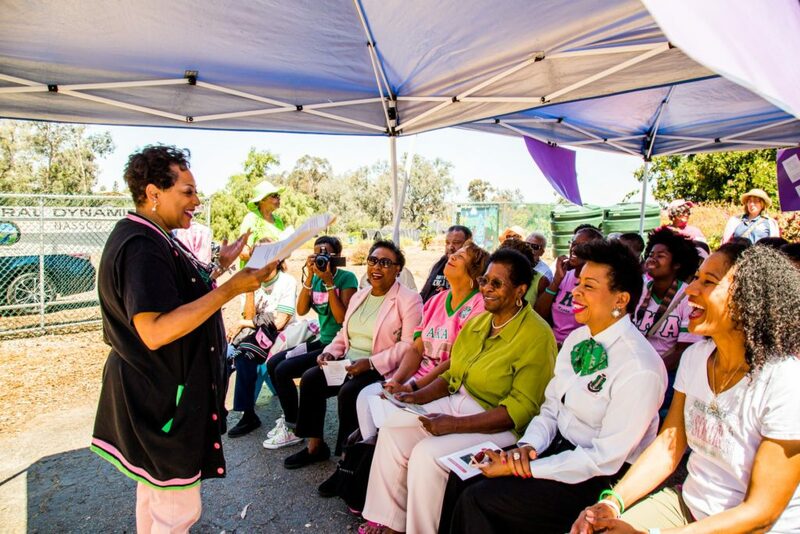 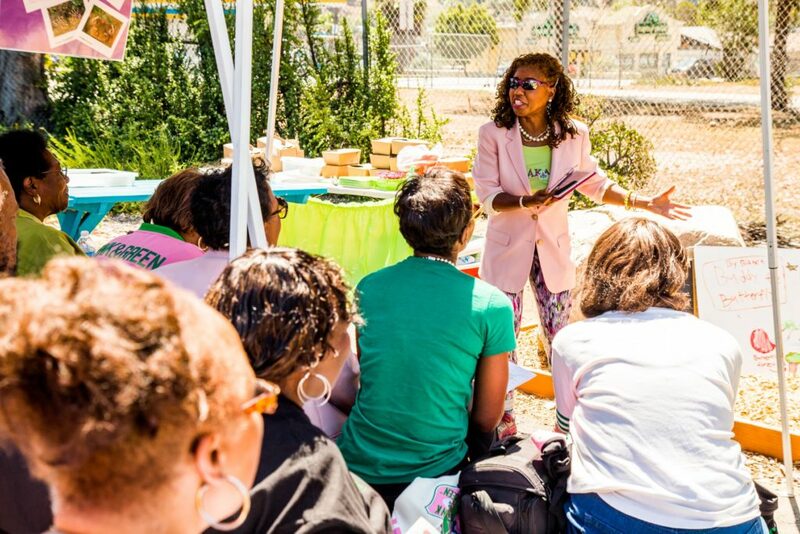 To this end, the Alpha Kappa Alpha Sorority Inc. – Epsilon Xi Omega Chapter San Diego made their mark at the beginning of the month. 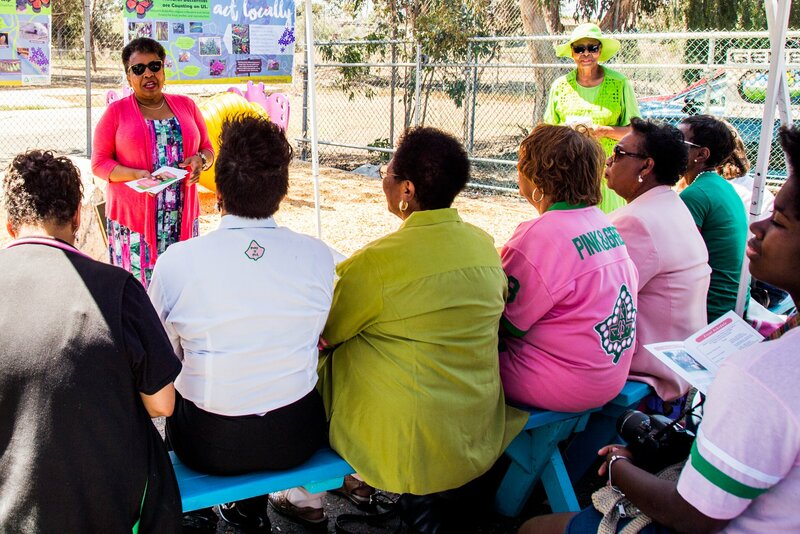 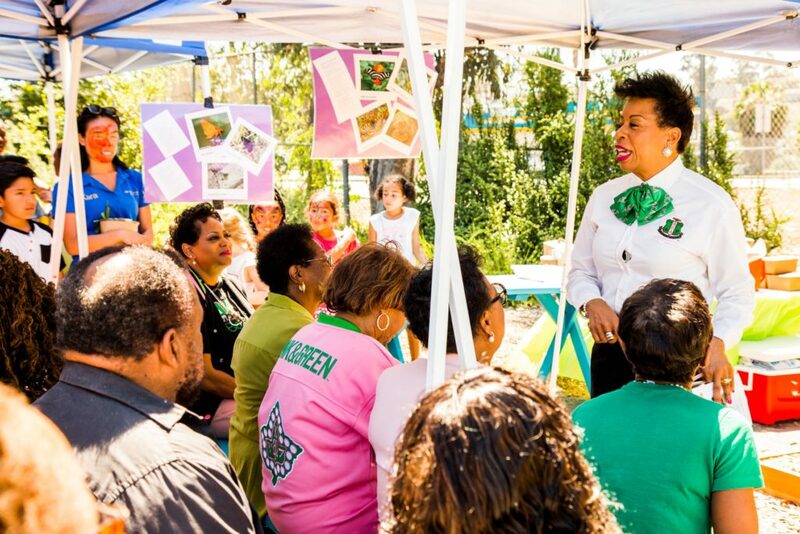 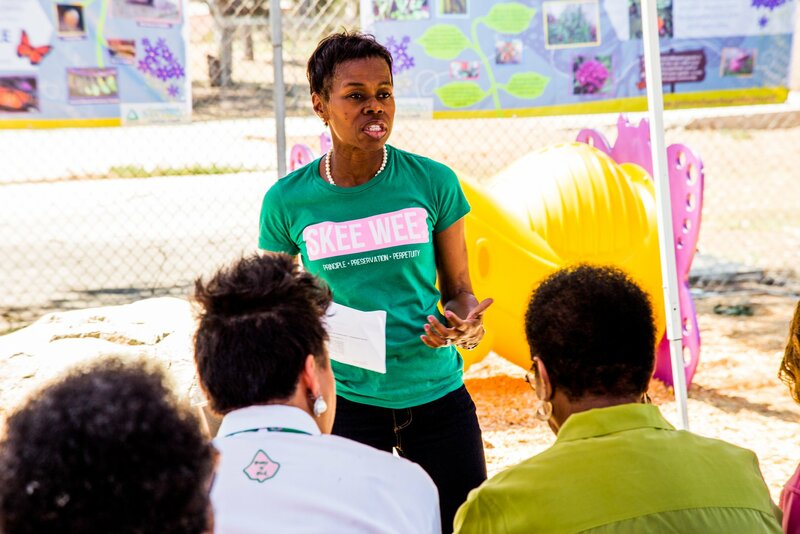 On May 5th, we were blessed to have a dedication ceremony for the new butterfly play-structure that the AKA Sorority so generously donated to the EarthLab. 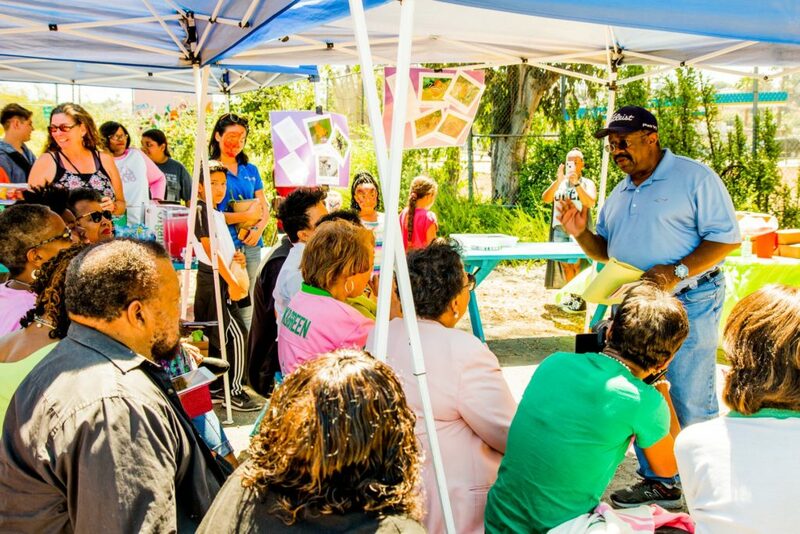 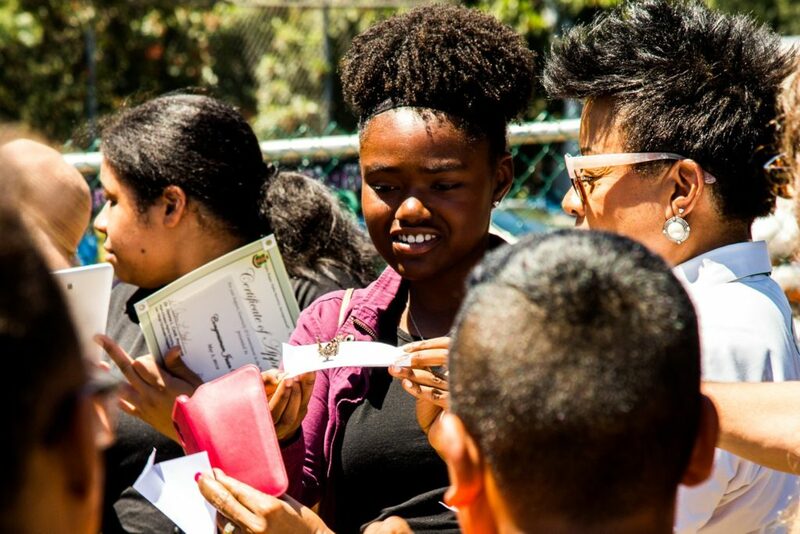 Speakers from AKA, Groundwork, the Office of Juan Vargas, and more, shared their kind words to honor the work we’ve all been doing towards climate justice and education in the Chollas Creek Watershed region and beyond. 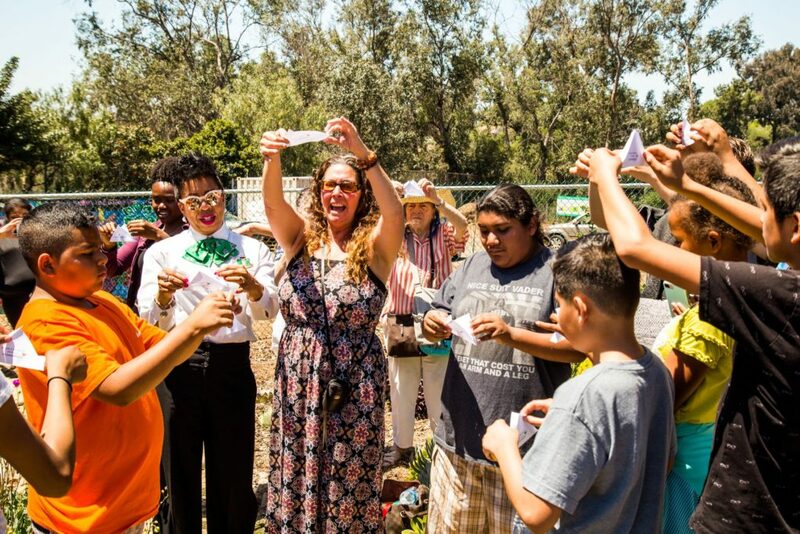 We had a wonderful time being inspired by these amazing women, and the dedication ceremony was concluded by releasing butterflies into the EarthLab, where there are sure to find joy among the colorful flowers in our Native Plant Garden. 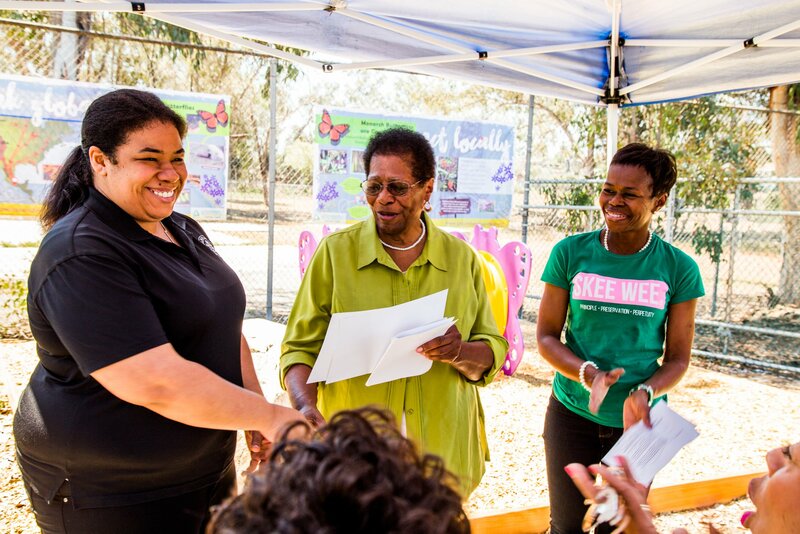 We were all so excited to christen the butterfly play structure with the butterfly release, and at the end of it all I think everyone present felt hope and determination towards the mission of expanding the climate education and career opportunities for the local youth. 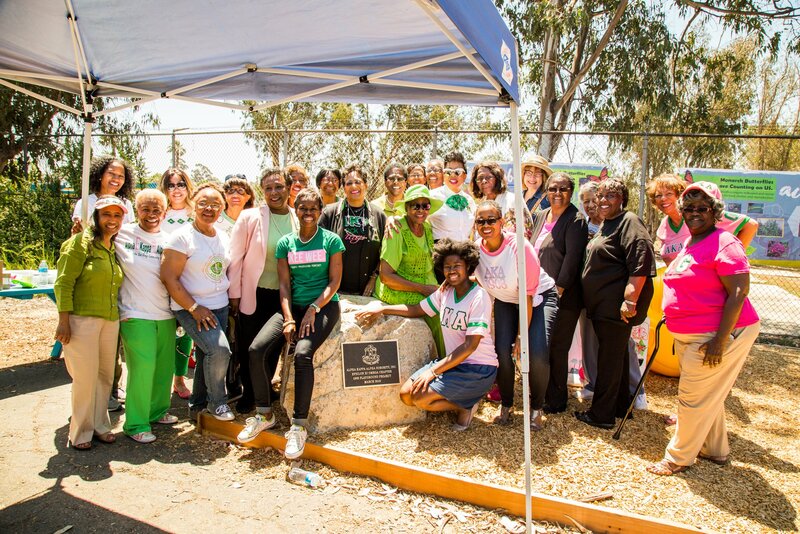 Thank you Alpha Kappa Alpha for your incredible donation and strong energy! 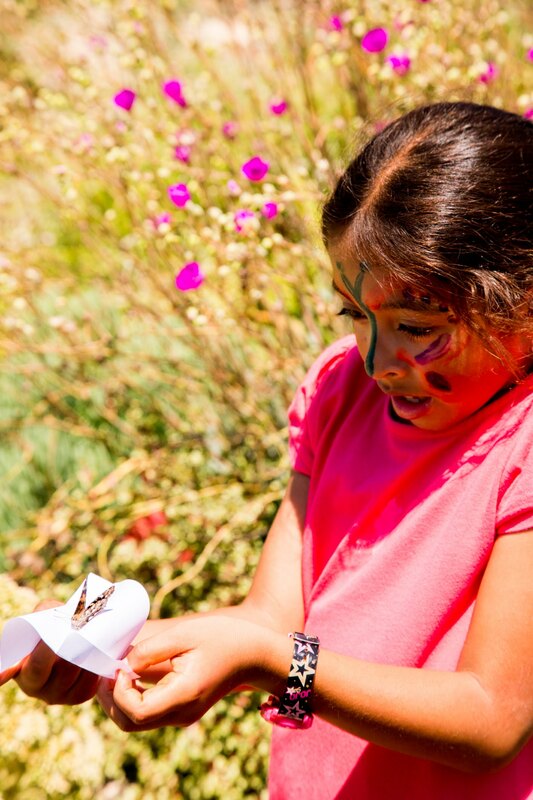 Generations of EarthLab students will be able to enjoy your gift to our community. 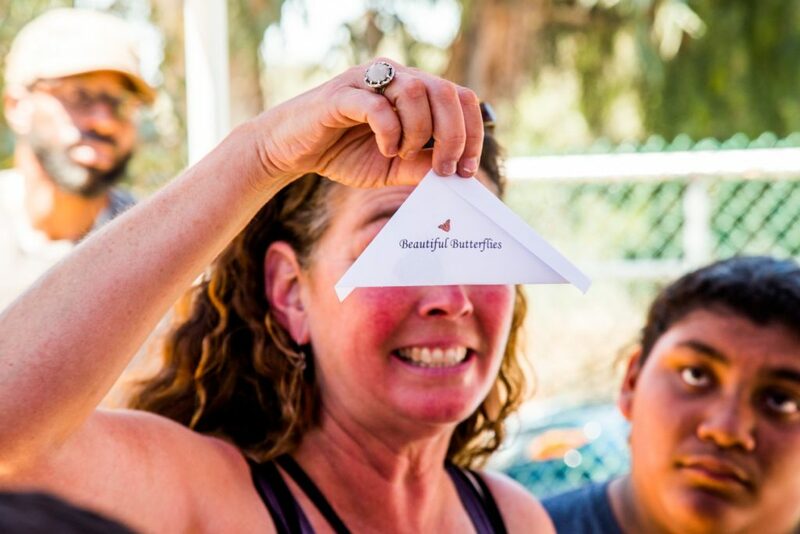 Enjoy the photos below.